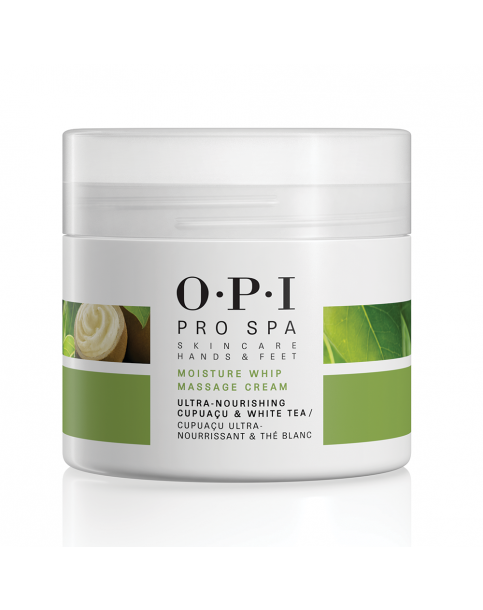 ProSpa Moisture Whip Massage 118ml is rated 5.0 out of 5 by 1. Rated 5 out of 5 by Cailein from Wondrous product - gorgeous luscious aroma My first tub of Moisture whip I purchased about a month ago and a few days ago visited my podiatrist. There is nothing at all wrong with my feet but I love the pampering. To my delight she immediately commented on both the softness of my feet and condition of my nails, before I was able to inform her of my new find. and a wonderful find it is. In less than a month my nails look much more alive and smooth, in part to using Pro Spa nail and cuticle oil in combination with the moisture whip. It is so smooth and easy to apply, and the difference can be felt days later. I use it daily at the moment, not sure if that is too much or not, but I am so amazed at the difference. As a guy using your Pro Spa products I can recommend them to all guys looking to care for their feet and their hands.